There are just a few last spots available for Pesach ScaVentures! Book now to reserve your slot. We have open scavenger hunts (for small groups) as well as group scavenger hunts – so there will be something for everyone! Below are just a few of the scavenger hunts you can play on Pesach. Old City Scavenger Hunt – Discover the secrets of the Old City while tales of inspiring people, ancient places and tremendous events come to life. Jubilee Scavenger Hunt – A train carriage, a windmill, a bombed hotel, a secret courtyard and the gates of the Old City…celebrate Jerusalem’s reunification on this game that runs from the new city to the old! Jaffa Scavenger Hunt – From the Old Saraya to the Jaffa harbor through the Zodiac Alleys – explore the amazing story of the city that is said to be the oldest port city in chronicled history. 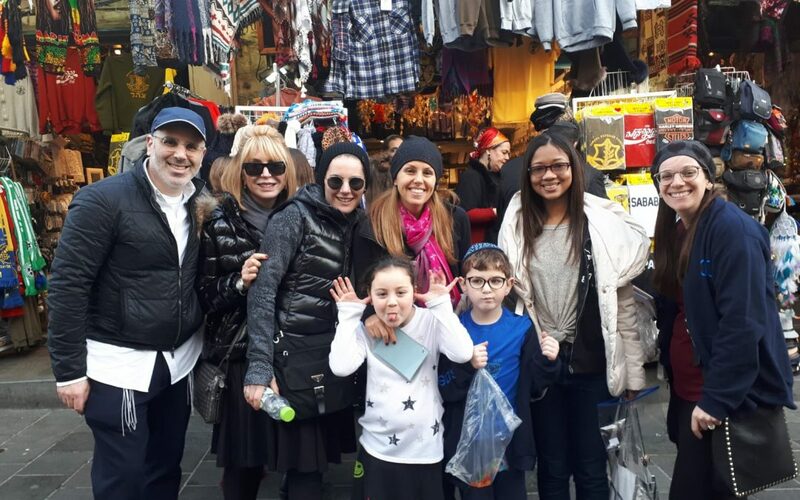 Neve Zedek Scavenger Hunt – Nestled between the minarets of Jaffa and the Azrieli tower in Tel Aviv, lies Neve Zedek – the location of our Tel Aviv Scavenger Hunt. Discover the story of one of Tel Aviv’s oldest neighborhoods and find out in what way it is young and funky at heart! Tzfat Scavenger Hunt – BOOKED OUT! Zichron Yaakov Scavenger Hunt – BOOKED OUT! Group Scavenger Hunts – EVERY SINGLE DAY OF PESACH CHOL HAMOED!!! Booking in advance as long as slots are still available. Be in touch to book! Open Scavenger Hunts – Open Nachlaot Scavenger Hunt on 22nd April at 10:30, Open Jaffa (Tel Aviv) Scavenger Hunt on 23nd April at 10:30 and Open Old City Scavenger Hunt on 25nd April at 10:30. Book now so you’re not disappointed! This is an Afikomen present your kids will never forget! Get your copy of ScaVentures Jerusalem: The Experiential Guidebook and explore the city on your time and at your own pace. This comprehensive, experiential Jerusalem guidebook takes you on 5 distinct adventures and serves as your family’s personal tour guide, on your schedule, on your terms, for all ages. With roles for each family member, clues and missions,games with maps and playing cards, trivia and quizzes, behind the scenes stories.